Groom and Mother Dance at Ballroom at the Ben, Phila. 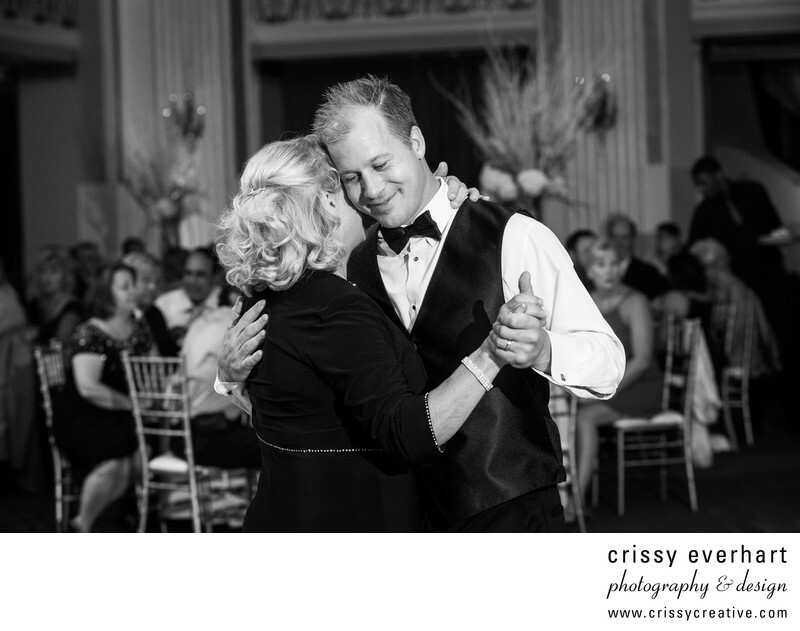 A groom dances with his mom at Ballroom at the Ben, black and white image. This is the most chivalrous groom I have ever photographed; this mom did something right!!! There was so much love outpoured by the families, no one held back. It was a day full of smiles, laughter, and tears of joy.